A little over one year ago, one of the deadliest fires in modern U.S. history hit a warehouse called the Ghost Ship and 36 people lost their lives in the disaster. Located in San Francisco Bay Area’s third largest city, Oakland, the building was a vibrant artistic hub and living space for a small, diverse community of creatives focused on expression and inclusivity. The live-and-work structure was set up as a way to get around the Bay Area’s housing fees, some of the highest in the country. It was also a safe space for marginalized people, be it due to cultural or socioeconomic factors. Parties were regularly thrown at the warehouse despite not having the proper permits, something that is all too familiar in the world of electronic music. From the rave boom of the early 90’s to now, there is still a stigma in the general public that is wrongly associated with the underground electronic music scene. Issues such as the ones the Ghost Ship was trying to circumvent are prevalent all over the world and especially in large cities due to ever-increasing housing costs and the lack of venues willing to accommodate events. 100% Silk, the L.A. based record label was hit harder than most during last year’s tragedy as two of the artists on their roster, Cherushii and Nackt, both of whom were scheduled to play at the party, lost their lives in the fire. 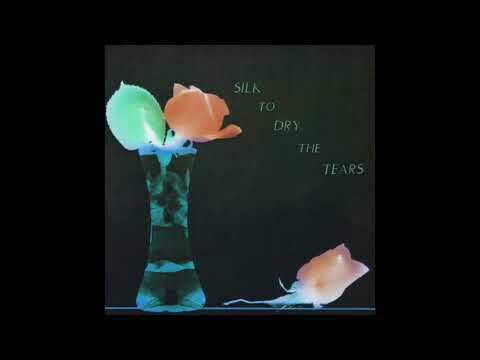 To commemorate those who were killed, they are releasing a 31 track compilation entitled “Silk to Dry the Tears”. Bolting Bits is more than happy to help support the cause by promoting the compilation and premiering the first track on it from Birmingham-based The Cyclist (soundcloud) entitled The City Hangover. An emotional piece at its core, it starts off on a bittersweet note with warm yet brooding pads and a synth melody that opens up as it progresses until it climaxes and mutes to a lighthearted arpeggiated pattern. Meanwhile, atmospheric noise brings up the tension as the various percussion instruments build the rhythm to a second, more rhythmical apex. The song fits as an appropriate metaphor to the tragedy at hand, melancholic after the loss yet building positivity as time goes on through the community efforts made to help those affected and others who may find themselves in tough situations. You can contribute to the cause and buy the compilation directly from 100% Silk’s Bandcamp.